O’BRIEN, Barbara J., age 81, of Tampa, passed away on November 6, 2018. Barbara was born on August 18, 1937, in Summerville, South Carolina to Calece and Marvin White. In 1955, she married George T. O’Brien, who served 30 years in the U.S. Navy as a Chief Petty Officer. Being a “military” wife allowed her to travel, spending much of her time in the Washington, D.C. area. She was a loving wife, mother, grandmother and great-grandmother. She loved to sing and play the piano, and sang at church and on the radio in her younger years. 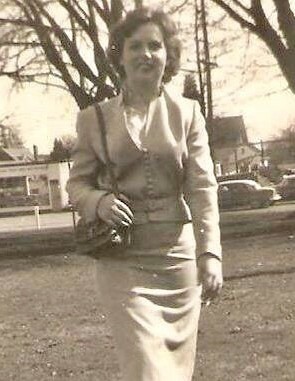 She is survived by her daughters, Carol Karna, Rose Marie Toney, and Teresa Sousa; son’s, George T. O’Brien, Jr., and Johnny O’Brien; seven grandchildren, Krystal Sousa, Heather Garcia, Amanda Toney, Kevin Sousa, Johnny O’Brien, Andrew Toney, and John Karna; three great-grandchildren, Canon, Kameron, Harper Mae; sisters, Mary Kornahrens, Faye Lewis, Debra Williams, Lynn Sweatman; and her brother James White. She is preceded in death by her husband, George T. O’Brien; three sisters, Catherine Johnson, Mildred Taylor, Shirley Padgett; and her brother Marvin White, Jr. A graveside service will be held at 2:00 pm on Monday, November 19, 2018, at Florida National Cemetery located at 6502 SW 102nd Avenue in Bushnell.